This book is an attempt to coax Roman history closer to the bone, to the breath and matter of the living being. Drawing from a remarkable array of ancient and modern sources, Carlin Barton offers the most complex understanding to date of the emotional and spiritual life of the ancient Romans. 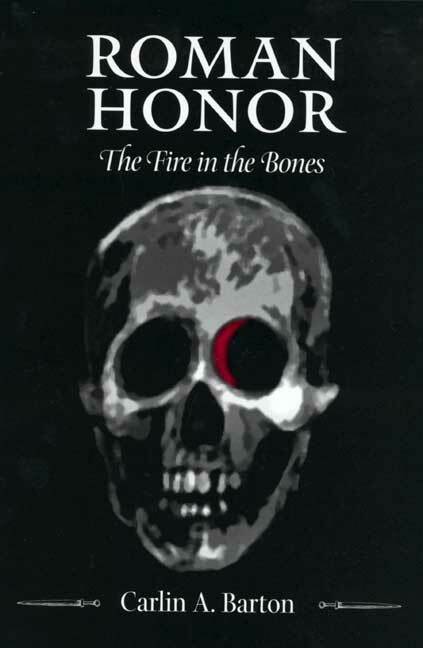 Her provocative and original inquiry focuses on the sentiments of honor that shaped the Romans' sense of themselves and their society. Speaking directly to the concerns and curiosities of the contemporary reader, Barton brings Roman society to life, elucidating the complex relation between the inner life of its citizens and its social fabric. Though thoroughly grounded in the ancient writings—especially the work of Seneca, Cicero, and Livy—this book also draws from contemporary theories of the self and social theory to deepen our understanding of ancient Rome. Barton explores the relation between inner desires and social behavior through an evocative analysis of the operation, in Roman society, of contests and ordeals, acts of supplication and confession, and the sense of shame. As she fleshes out Roman physical and psychological life, she particularly sheds new light on the consequential transition from republic to empire as a watershed of Roman social relations. Barton's ability to build productively on both old and new scholarship on Roman history, society, and culture and her imaginative use of a wide range of work in such fields as anthropology, sociology, psychology, modern history, and popular culture will make this book appealing for readers interested in many subjects. This beautifully written work not only generates insight into Roman history, but also uses that insight to bring us to a new understanding of ourselves, our modern codes of honor, and why it is that we think and act the way we do. Carlin A. Barton is Professor of History at the University of Massachusetts, Amherst, and author of The Sorrows of the Ancient Romans (1993).